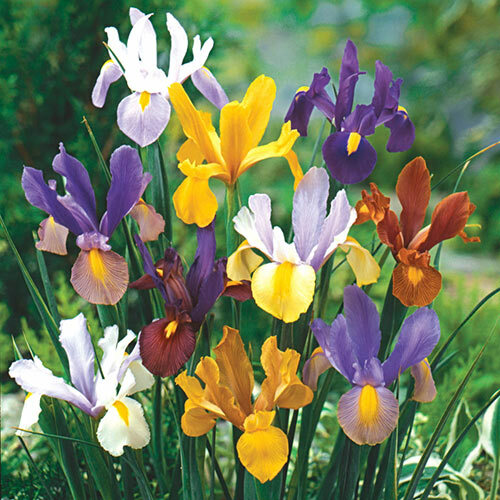 Our Dutch Iris have been carefully chosen and bred to produce graceful and elegant flowers. Available in a rich range of colors, they're sure to be spectacular in the garden. As cut flowers, they are long lasting and unsurpassed in spring bouquets. They naturalize easily and will multiply rapidly each year. Plant 4" apart.